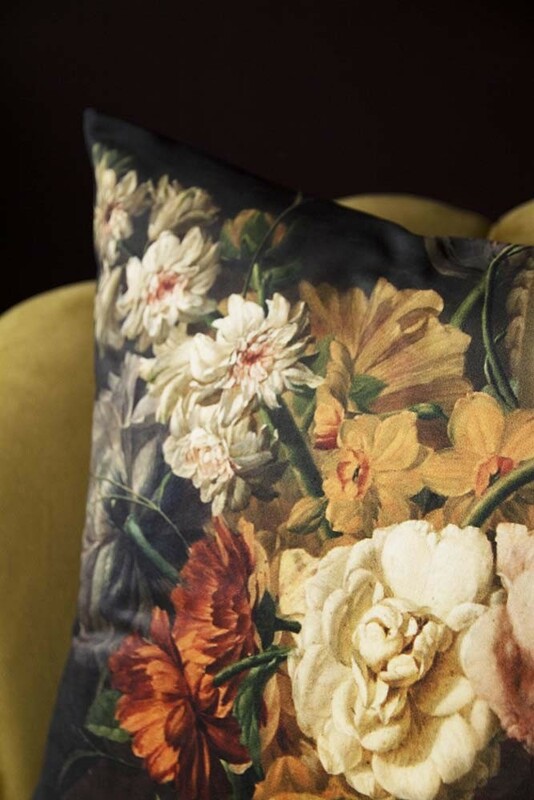 As part of a beautiful range of patterned velvet cushions, the Summer Flowers Velvet Cushion is designed exclusively for our RSG own-design collection. Manufactured in the UK in a sumptuous velvet fabric, the floral cushion measures 45cm x 45cm and features an impressive display of summer tulips and gorgeous garden roses. Floral patterns are a great way to experiment with adding colour and pattern to the home. Easy to pair with almost any design scheme, floral prints introduce natural themes to help keep the magic of summer alive all-year-round. 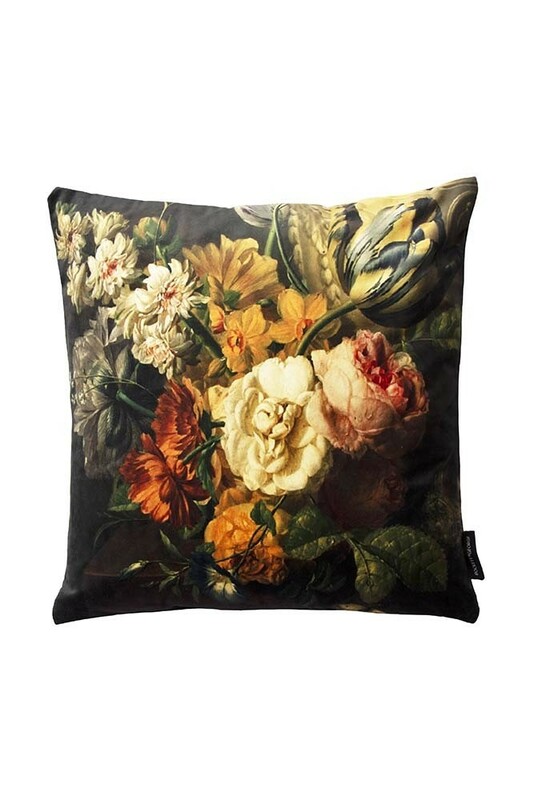 Inspired by iconic oil paintings from the Dutch masters, we designed the Summer Flower Cushions with a luxurious vintage feel that celebrates the beauty of flowers in full bloom. 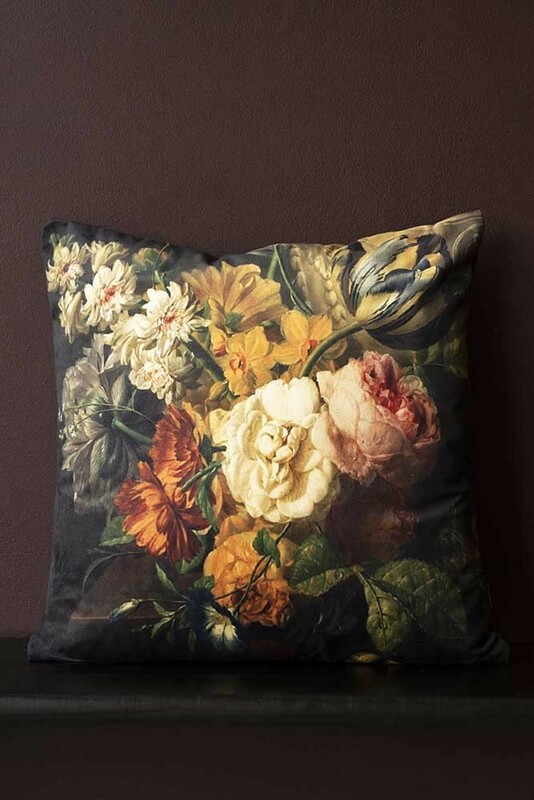 Combining dusky pinks and yellow with dark background tones, the Floral Velvet Cushion exudes indulgent glamour. 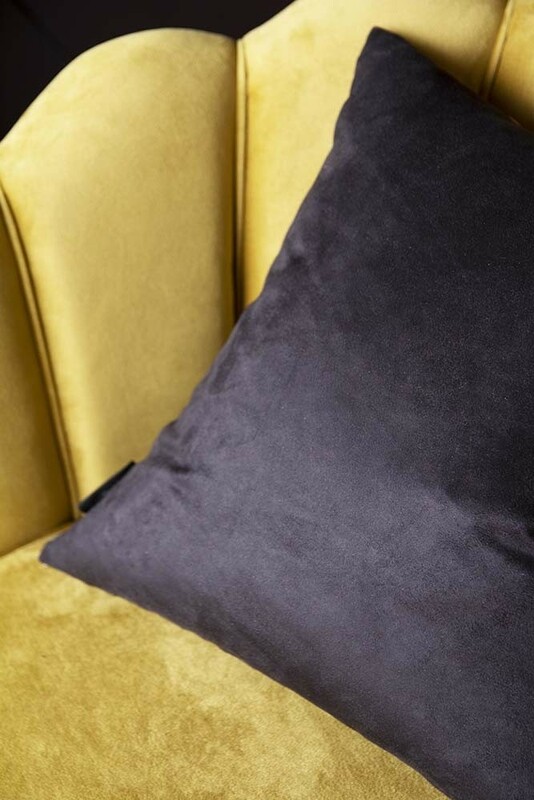 As firm believers that there is no such thing as too much velvet, we love pairing the Summer Flower Cushion with velvet furniture in ochre yellow or rich, jewel tones. Effortlessly elegant with beautiful details, the Floral Velvet Cushion is a work of art and deserves to be at the very centre of your styling. 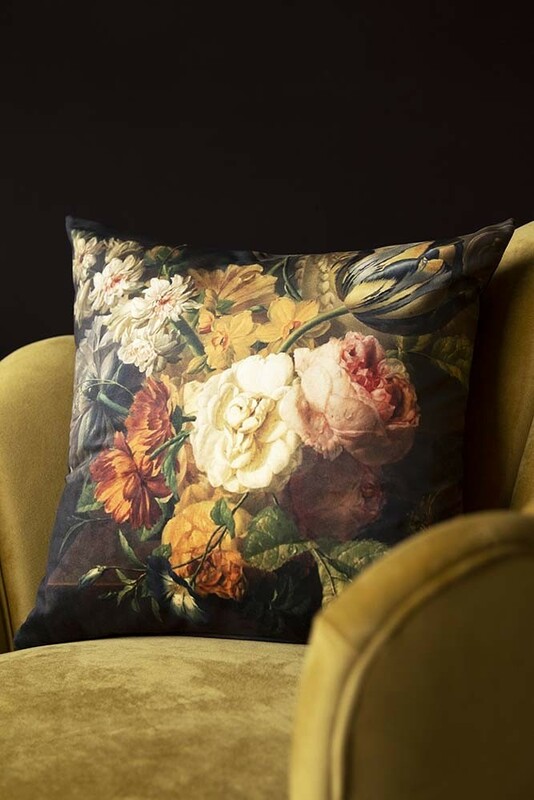 From creating a cosy accent of pattern on the sofa to luxurious layers in the master bedroom, the Summer Flower Cushion ensures a statement floral finish.